DESCRIPTION Contemporary light filled town home located in the trendy S.E. community of Mahogany. It features a well-appointed kitchen with upgraded stainless steel appliances, ceramic tile back splash and ample storage and counter space that opens onto a bright and spacious eating area. The attractive, yet durable, laminate flooring is consistent throughout the main floor living areas. An adjacent flex area makes this a perfect home for both family evenings and entertaining. The upper floor features two bedrooms each with their own walk in closet and ensuite. An insulated attached garage with additional space for parking on the driveway adds to the property's appeal. Location ...Location...this home boasts quick access to a playground, a new school, shopping and other amenities. Home for sale at 8 Marquis Ln Se Calgary, Alberts T3M 2G6. 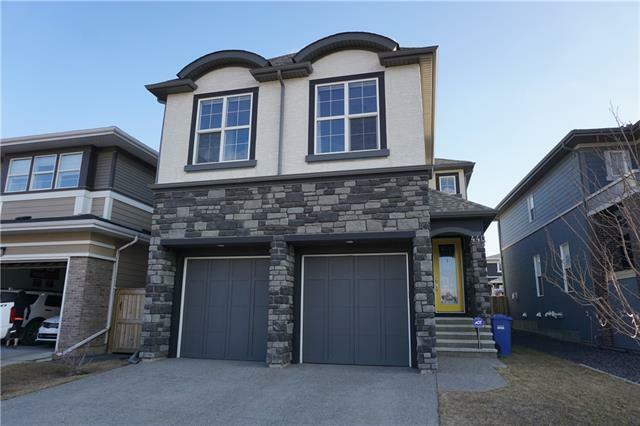 Description: The home at 8 Marquis Ln Se Calgary, Alberta T3M 2G6 with the MLS® Number C4225074 is currently listed at $289,900.